Types of Art: Zaramo produce various wood sculpture, best known of which are small doll-like figurines known as mwana hiti. History: Zaramo are an east central Bantu peoples whose ancestors most likely immigrated into modern day Tanzania sometime during the first millennium A.D. Oral histories suggest that the Zaramo moved eastward into their current location from the mountainous Luguru and Kutu areas around the turn of the 18th century. Linguistic evidence supports this history. Trade and slave caravans in the 18th century passed through Zaramo territory on their way to Lake Tanganyika, bringing Islam along with them. As Dar es Salaam, the capital of Tanzania, has grown exponentially in the last 20 years many Zaramo settlements have been incorporated into the city, and many more Zaramo people have immigrated into the city in search of work. Economy: Most Zaramo cultivation is done by women using a hand-held hoe. They grow maize, millet, and rice near the coast. Tomatoes, potatoes, peppers, casava, cucumbers, and various other vegetables are grown. Tropical fruits, including mango, bananas, and coconut are abundant. In the past fishing and hunting were important, but have largely been replaced by raising domestic animals. Dried fish, brought inland from the coast, are commonly eaten. The Zaramo supply much of the fruit and vegetables that are sold in the markets of Dar es Salaam. Sisal, which is used for making ropes, is grown on large plantations throughout eastern Tanzania. Tanzania is the number one exporter of sisal. Political Systems: Zaramo did not have centralized political systems. Their social organization was based on small-scale matrilineal kin groups which were self governing. 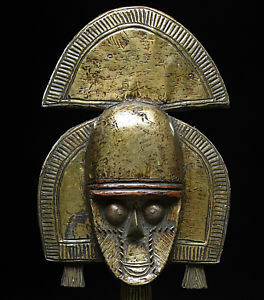 Lineage heads were chosen by community leaders. These leaders held the land rights of the lineage. Occasionally a powerful leader emerged in the area who had greater influence. Land ownership was determined by the original members who inhabited it. The leader was responsible for distributing the land and maintaining lineage rituals. Most of the leaders in Zaramo communities were men, but on occasion they could be women. They settled disputes between family members, and were often attributed with spiritual powers, such as the ability to make rain, or to communicate with the spirit world. Despite colonial reports indicating a lack of political unity in the area, Zaramo peoples were able to assemble between four and five thousand people to March on Bagamoyo in 1875 in protest of the Sultan failing to pay tribute. Religion: Most Zaramo believed in a supreme God, Mulungu, who was associated with rainfall. Most prayers were directed to familial spirits. Religion among the Zaramo was a household affair. Every family was responsible for appeasing its ancestral spirits. Shrines were built to the spirits on the ancestral homeland, and members of the family were expected to journey to these sites to make the proper offerings. Zaramo believed that major disasters and illnesses were sent by Mulungu, but appeals and prayers must be made to the ancestral spirits who served as a liason between living men and God. In order to determine the proper course of action necessary to appease an offended spirit, a spirit medium, or mganga would be consulted. Through various divination techniques, the mganga would communicate with the spirits and then prescribe treatment for an illness or social imbalance.